The ultimate sewing guide for creating your own workout clothes that are both functional and stylish. Fully illustrated step-by-step tutorials covering everything from beginner techniques to professional fashion industry methods. Comprehensive activewear fabric chapter and extensive guides to the best seams on every household sewing machine. And plenty more! Extensive chapter on different activewear fabrics, their properties and uses. 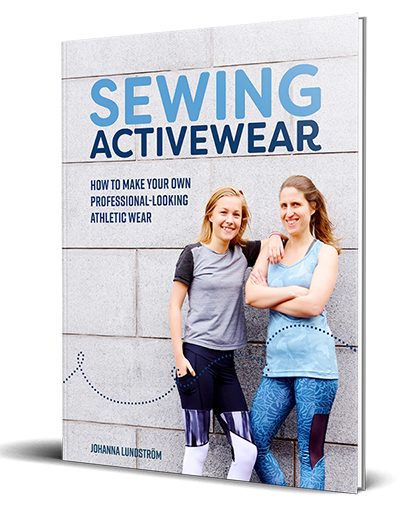 Over 25 fully illustrated step-by-step sewing tutorials for different activewear projects from beginner to advanced. How to add different crotch gussets, zip pockets, waistband pockets, sleeves with thumbholes and much more! Comprehensive chapters with tutorials and tips on these stitches for a professional finish on your activewear makes. Guides to choosing the best sewing machine, serger and coverstitch seams for each project. Recommended tools and notions for a variety of projects. 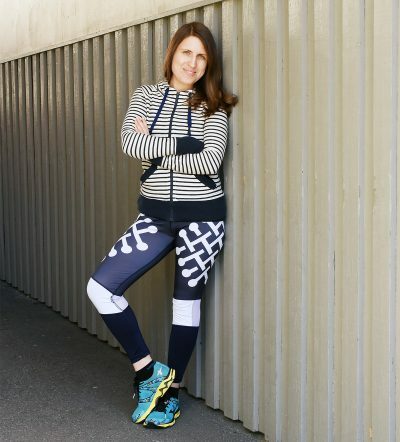 Valuable, in-depth interviews with both activewear professionals and inspiring hobby makers. Tutorials and tips on how to achieve excellent results using a regular household sewing machine. Full colour paperback delivered through Amazon’s print on demand service with global shipping. *List price, actual Amazon price might vary. Johanna Lundström is a sewing veteran that has made her own clothes for over 30 years. She is passionate about sewing and is always ready to test out new techniques. Her specialities are sewing knits and pattern making, and she shares her sewing knowledge on thelaststitch.com. Johanna is also an avid exerciser that has done everything from roller derby to triathlons, with varying success!